The CloudCheckr CMP offers a single pane of glass view to help modern enterprises manage and optimize their public cloud. DevOps, SecOps, and FinOps teams from hundreds of global enterprises and service providers rely on CloudCheckr to manage their Azure, AWS, and Google Cloud investments so they can quickly optimize spend, eliminate waste, and improve security and compliance throughout their cloud journey. 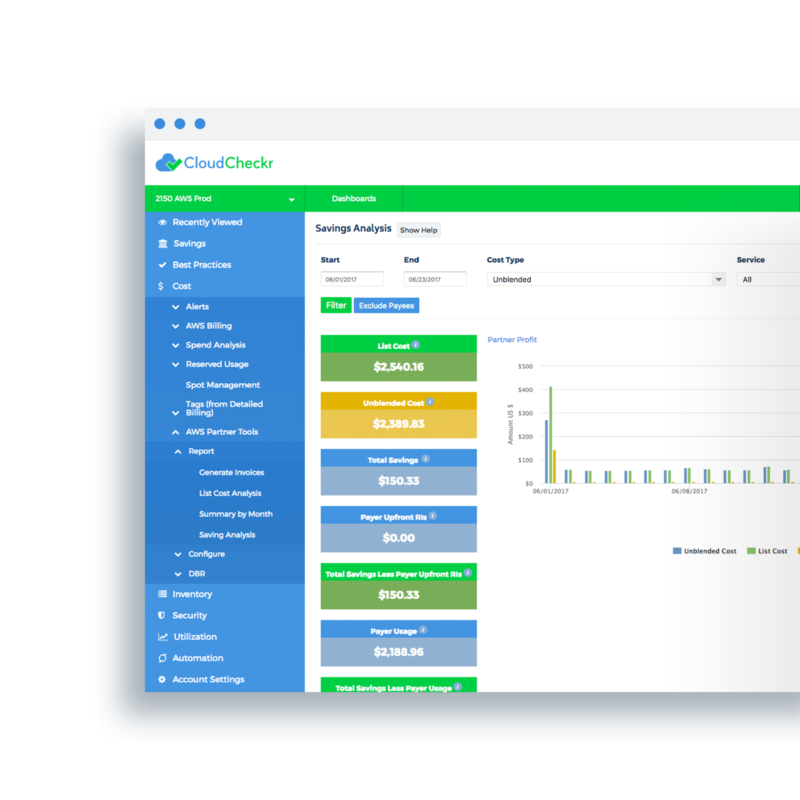 CloudCheckr provides cost allocation, spend optimization, invoicing and chargebacks. Custom reports and alerts ensure governance and accountability as environments scale. Cross-account dashboards provide sophisticated reporting for enterprise-wide inventory based on tags, geography, function and more to proactively optimize workloads. CloudCheckr provides summary and detailed usage statistics for resources across AWS, Azure, and Google Cloud, offering actionable intelligence to right-size and scale services efficiently. CloudCheckr enables users to save money, time, and effort to increase operational efficiencies with automated actions for your cloud.